Technology and science industries have long been dominated by men. Men such as Mark Zuckerberg and Elon Musk have had major accomplishments within areas of science and technology, but one woman wants to see the scales balanced. Her name is Maria Klawe. 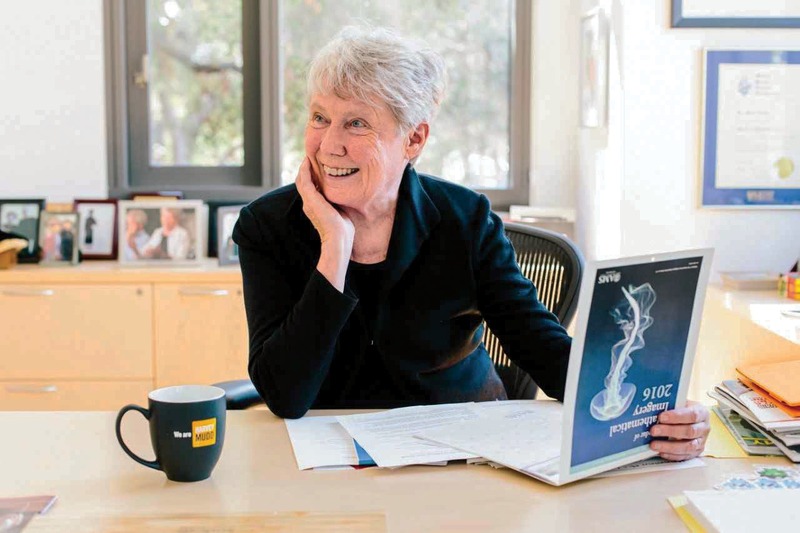 Klawe is a well-known computer scientist, former head of the Department of Computer Science at Princeton University, board member for non-profit Math for America, chair of the board for non-profit EdReports.org and is the first woman to be elected president of Harvey Mudd College since its founding in 1955. In trying to balance the amount of men and women working in technology and science, Klawe has learned two things that can interest women in these areas, one of them being student outreach. In an outreach program with schools across the country, students majoring in technology and science visited high schools to give 15- to 20-minute speeches to students about science and technology fields. Klawe said that California State Polytechnic University, Pomona still practices this outreach. Klawe said she fears that two benefits of working in technology and science-related jobs — salary and job flexibility — may go unknown to students outside of this reach. “They are careers that pay well, they offer opportunities to make significant contributions to society (and) they also tend to be flexible in terms of letting someone work from home,” Klawe said. The second benefit of working in these fields is that it allows its practitioners stability to start a family. “Given that many people want to have an ambitious career and combine that with having a long-term relationship with someone and possibly having children, as well, having one or both people in a tech career tends to make that a lot easier,” Klawe said. Abby Shornick and Sarah Gillen, junior biomedical engineering majors at California Baptist University, said they believe women should not be at an disadvantage from the beginning of their careers. Both Shornick and Gillen expressed hope that they and future women will not have to experience discouragement from others as more women join the science and technology fields. “If you’re interested in science or technology, you shouldn’t feel that you can’t be because you’re going to be put down,” Gillen said. Klawe plans to launch a new program in 2020 called Bridge to Data Science and Computer Science to enable professors with doctorates not finding jobs in their fields to teach computer science classes.